By now most of you are aware that Hurricane Harvey made landfall in Texas on August 25, 2017, as a category four storm. Cities like Houston have been devastated by the flooding that accompanied Harvey as displayed by the numerous families that have been displaced and the billions in damages to that community. While there are plenty of organizations seeking to help (many of which you may already know), one team that desperately needs your help is the Texas Diaper Bank. As a non-profit organization, the Texas Diaper Bank provides diapers, baby essentials, senior incontinence items, food and education to individuals and families throughout Texas. As part of the Hurricane Harvey relief effort, they are working hard to make sure that those in need have the supplies they require to care for their loved ones. There are three ways for you to support their Hurricane Harvey relief work. One of the many ways to help the Texas Diaper Bank is to purchase an “All Bottoms Covered” t-shirt from Bonfire. The shirts come in four different styles (premium unisex tee, women’s slouchy tank, women’s slim-fit tee, and youth unisex tee) and sizes from XS to 3XL.They are on sale for $19.99, and all proceeds are going to the Texas Diaper Bank’s Hurricane Harvey relief work. Their goal is to sell one hundred shirts over the next 12 days. The Texas Diaper Bank has put together an Amazon Wish List with some of the specific things they provide for families and individuals. So. if you are so inclined, you can stop by their wish list, pick out a few items and provide diapers to someone who needs them. There are large quantities that are required for each item but remember that every bit helps so do what you can to support them in their mission. 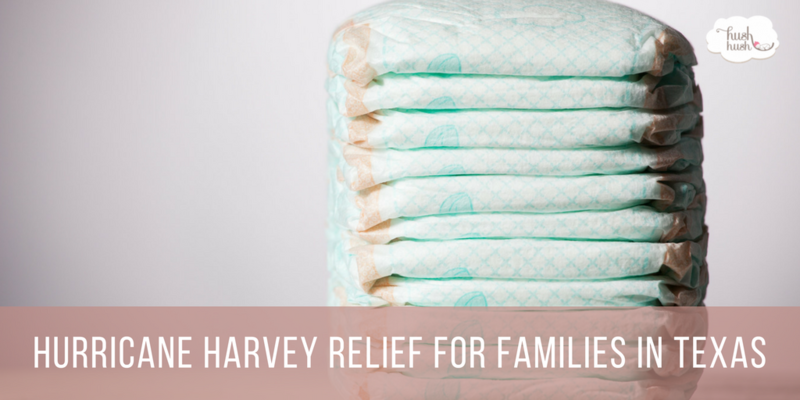 Last but not least, you can make a cash donation to directly assist the Texas Diaper Bank’s Hurricane Harvey relief efforts. They have set up a campaign through jet.com that will allow you to donate $35, $50, $100, or $500 to the cause. For more information on how to donate, updates, and opportunities to assist with this unique organization, check out their Facebook page.